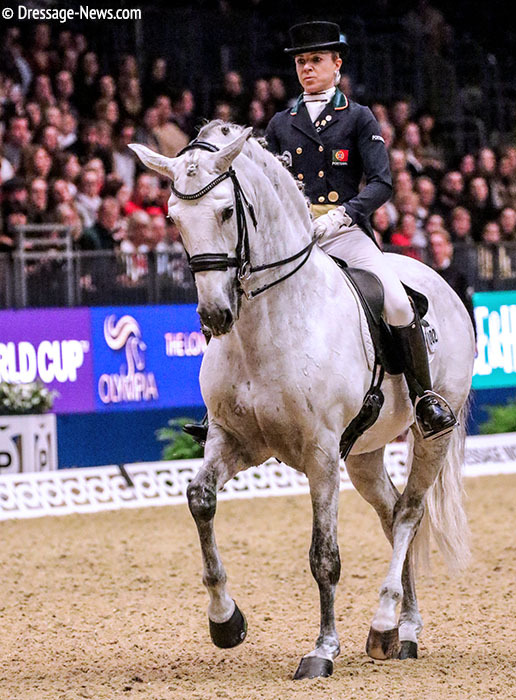 MECHELEN, Belgium, Dec. 29, 2018–Hans Peter Minderhoud and Glock’s Dream Boy won the World Cup Grand Prix Freestyle Saturday in only the second Big Tour musical performance for the Dutch pair and with a personal best score for the second day. 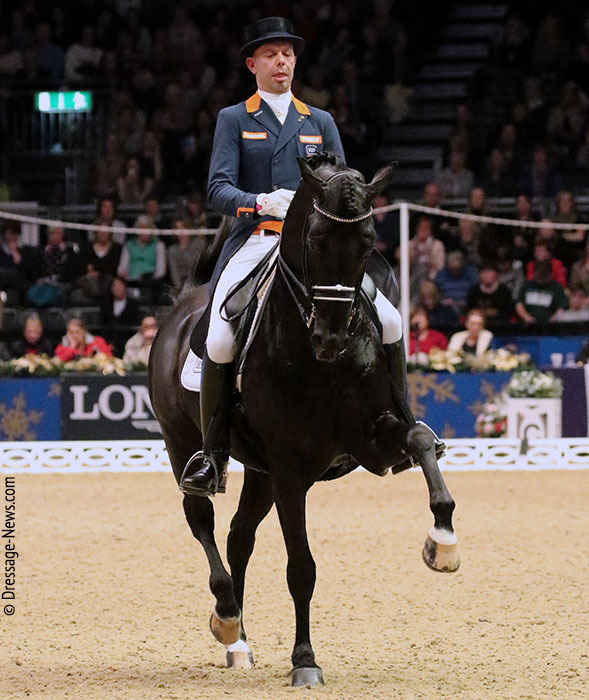 Hans Peter and the 10-year-old KWPN stallion scored 83.665 per cent for the victory, a day after capturing the Grand Prix at this traditional year-end event hosting a dressage World Cup qualifier for the first time in seven years. The only previous Grand Prix Freestyle for the former World Cup champion and the horse he rode at the Tryon World Equestrian Games in September was at London earlier this month where the pair scored 77.990 per cent. 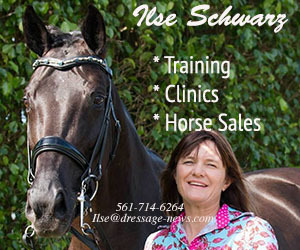 Helen Langehanenberg and Damsey FRH on 82.880 per cent placed second, as the German Olympic rider and the 16-year-old Hanoverian stallion owned by Americans Louise Leatherdale and Susanne Meyer did in the Grand Prix. Portugal’s Maria Caetano on the 11-year-old Lusitano stallion Coroado placed third with 80.160 per cent, the pair’s first score above 80 per cent in almost three years at Big Tour. The previous high for the Tryon World Games pair was 77.655 per cent set at the Madrid World Cup event a month ago. Sweden’s Tryon WEG and 2017 European Championships partnership of Therese Nilshagen on Dante Weltino OLD were fourth on 80.090 per cent. This is the seventh of 10 qualifiers for the World Cup Final in Gothenburg, Sweden April 3-7. Saturday’s results boosts Hans Peter into a tie with Maria Caetano tied for third place with 59 points behind Germans Benjamin Werndl and Dorothee Schneider on 65 points in the World Cup Western European League. The next Western European League event is scheduled for Amsterdam at the end of January.